One of the intriguing things I notice about Spain is how often males (in general) will order their espresso at the bar and drink it where the barista is making coffee. They perch on stools, or just stand whilst consuming their morning drink. Thinking about it, it probably make sense as to why so many cafes actually are often referred to as bars (and they do tend to turn into them at night). Maybe standing is just more convenient, and coffees do get consumed much faster than where I am from … nevertheless, it is a fascinating detail to observe. Spain’s attractions usually open at 10am and I found myself up and early two hours before anything actually opened. Doing what I knew best to pass by time: which is to walk, wander and wonder (and drink coffee if I can). My feet took me to Zorrotzagaure, a tiny little piece of industrial land wedged between the two sides of town split by the Nervion River. 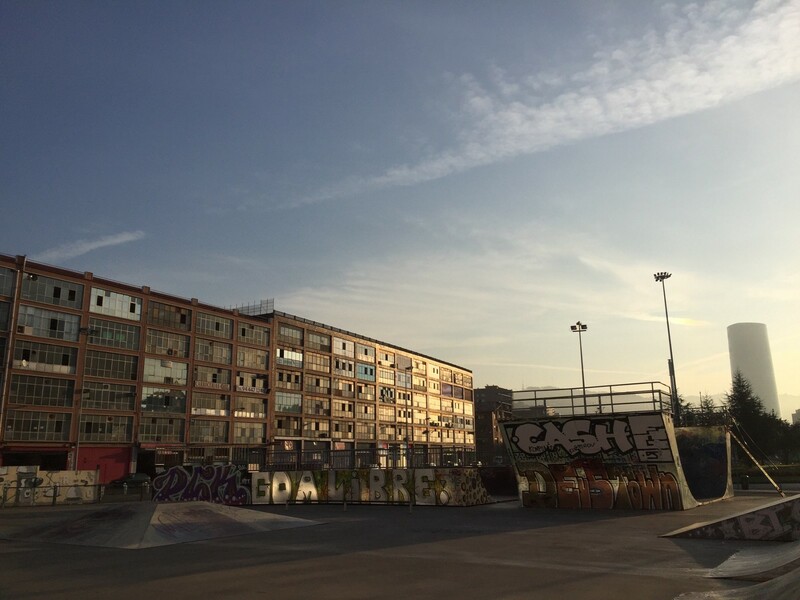 There is not much there except some abandoned terraces and traces of urban decay which is perfect to walk amongst. 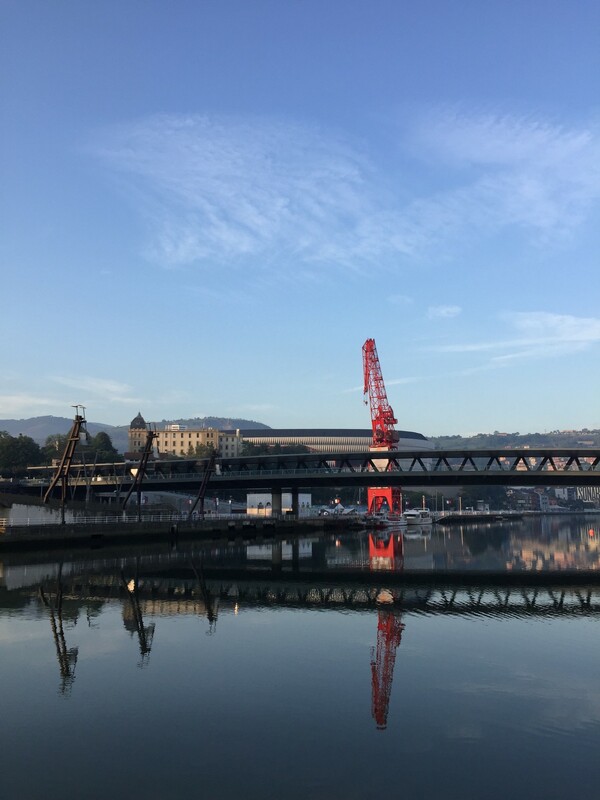 This is evidence of Bilbao’s industrial and maritime history, the gritty legacy carved into the banks of the river and the cranes that supported this port town long before Gehry and the scale in which the Guggenheim Museum has transformed this city. 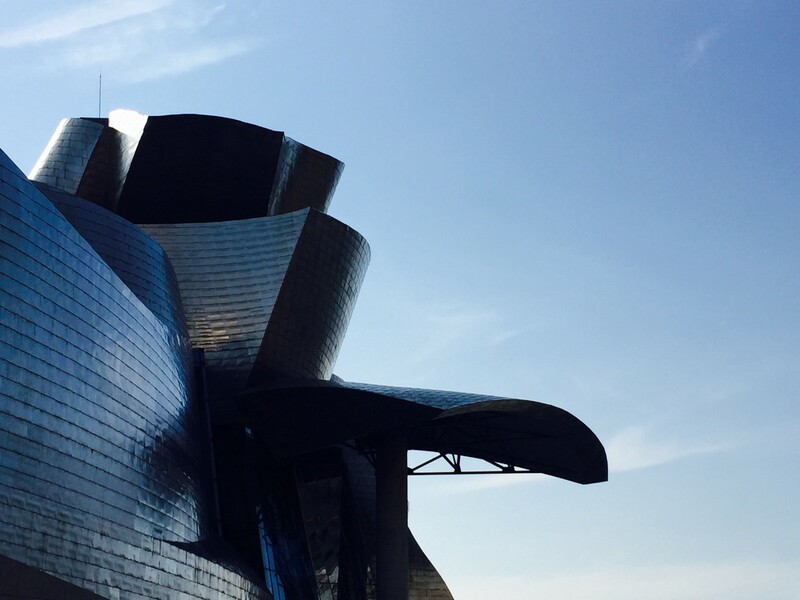 But the Guggenheim is a cultural godsend, and experiencing its curvaceous titanium scaled contours is hypnotic and a marvel of architecture and engineering. The sheets of titanium are apparently paper thin, and has thee hypnotising glimmer you might associate with a snake being charmed out of a vase. 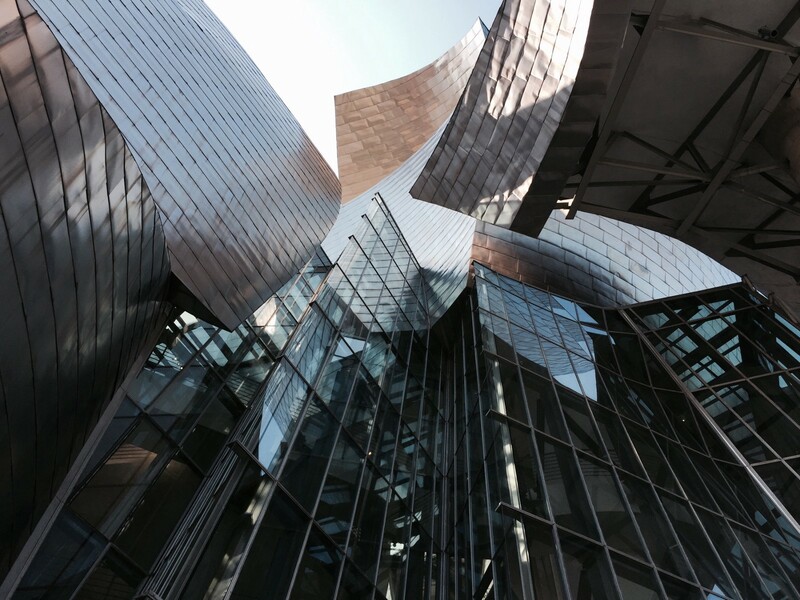 The structural genius of its spaces and how the edges and materials seem to dilate is testament to Gehry’s prowess. Gehry speaks of how fish and sails inspired much of the form factor of this museum alongside his process of sketching without ever lifting pencil from paper. Inside, Francis Bacon and Richard Serra are two of the main artists that inhabit this world. 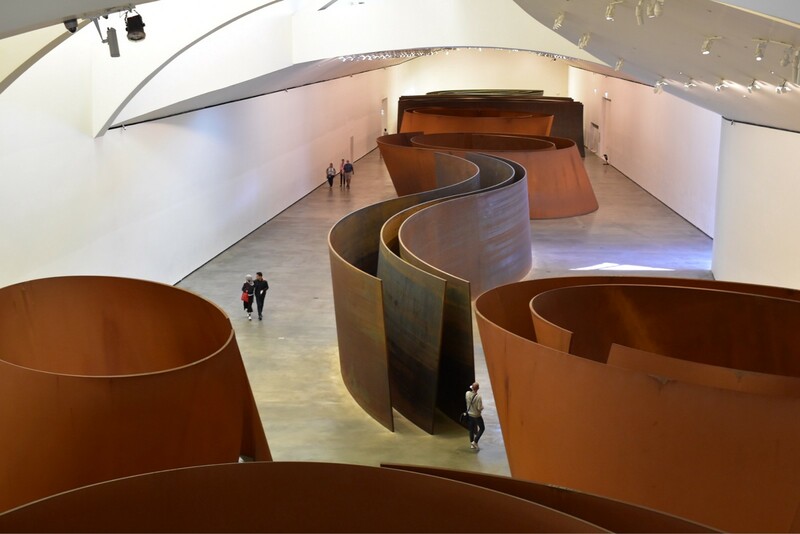 Bacon’s unique self-taught style and Serra’s giant steel sculptures seem to blend and use the space of the Guggenheim with great efficacy. Jeff Koons’ giant puppy made of flowers and leaves standing at the front draws a crowd – maybe too, as an inviting guardian of the museum. Gehry’s Guggenheim compared to Lloyd Wright’s Guggenheim in New York felt more enjoyable to me. Ultimately, this could be merely personal preference, but the majesty of the museum enthralled me. 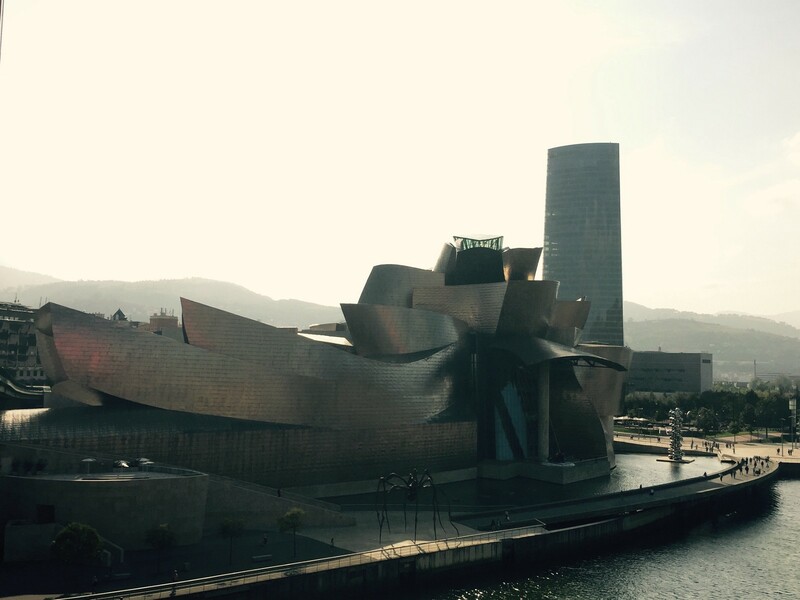 Bilbao shows charm in a way that maybe subliminally appeals more to those with a penchant for architecture and industrial-mess. If that is the case, I am very glad to be here in this city.